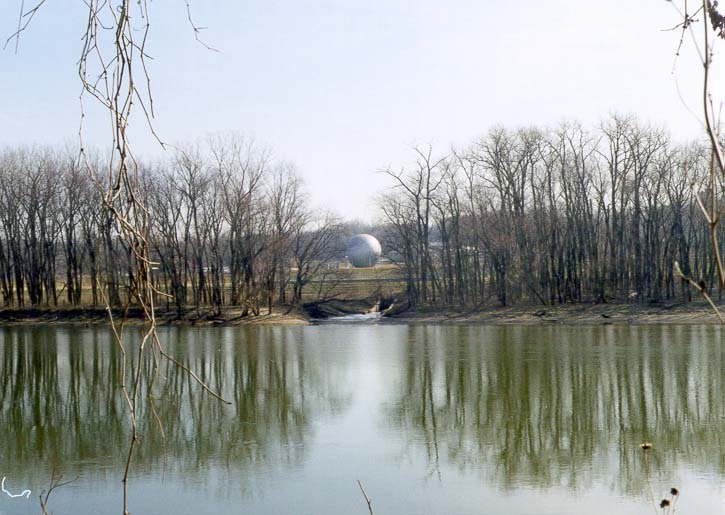 View of a sewage plant on Wabash River from 'Heritage' Trail between Lafayette and Fort Ouiatenon. Indiana, February 8, 1998. Aansig van 'n riool plant op Wabash River van' Heritage 'Trail tussen Lafayette en Fort Ouiatenon. 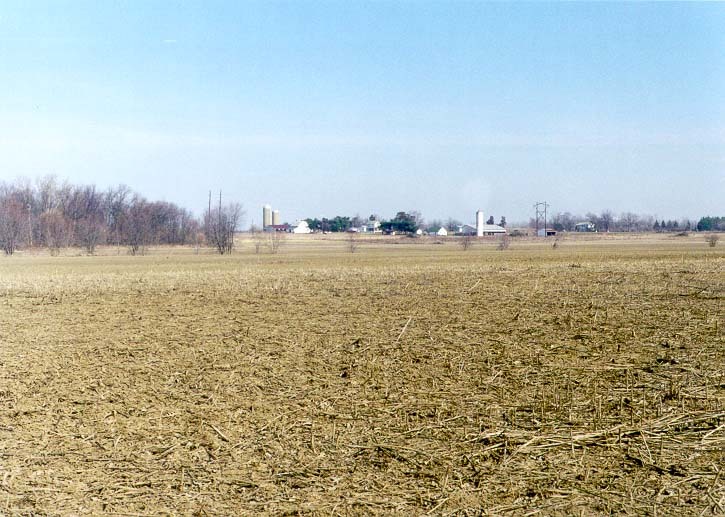 Indiana, 8 Februarie, 1998. Pamja e një centrali të ujërave të zeza në lumin Wabash nga Trail "Trashëgimi" mes Lafayette dhe Fort Ouiatenon. Indiana, 8 shkurt, 1998. نظرا لوجود محطة للصرف الصحي على نهر اباش من تريل 'التراث' بين لافاييت وOuiatenon فورت. إنديانا ، 8 فبراير 1998. Դիտել մի Կեղտաջրերի կայանի վրա Wabash գետը «Ժառանգություն» արահետը միջեւ Lafayette ու բերդը Ouiatenon. Ինդիանա, 8 փետրվարի, 1998 թ.
Lafayette və Fort Ouiatenon arasında "İrs" Trail from Wabash çayı üzərində bir kanalizasiya bitki bax. İndiana, 8 fevral, 1998. Wabash River on landare estolderia tik 'Ondare' Lafayette eta Fort Ouiatenon arteko Trail bat ikusi. Indiana, otsailaren 8, 1998. Выгляд ачышчальныя збудаванні на рацэ Вабаш ад Трэйл "Спадчына" паміж Лафайет і Форт Ouiatenon. Індыяна, 8 лютага 1998 года. একটি Wabash নদীর উপর 'হেরিটেজ' Lafayette এবং ফোর্ট Ouiatenon মধ্যে লেজ থেকে নিকাশী উদ্ভিদের দেখুন. ইন্ডিয়ানা, ফেব্রুয়ারি 8, 1998. Преглед на станцията за обработка на Wabash река от Trail "наследство" между Лафайет и Форт Ouiatenon. Индиана, 8 февруари, 1998. Vista d'una planta d'aigües residuals al riu Wabash de Ruta 'Patrimoni' entre Lafayette i Ouiatenon Fort. New York, 8 de febrer de 1998. Pogled na kanalizacije biljka na Wabash rijeci iz 'baština' Staza između Lafayette i Fort Ouiatenon. Indiana, 8. veljače 1998. Pohled na čističky odpadních vod na řece Wabash z Trail 'dědictví' mezi Lafayette a Fort Ouiatenon. Indiana, 8. února 1998. Udsigt til et rensningsanlæg på Wabash River fra 'Heritage' Trail mellem Lafayette og Fort Ouiatenon. Indiana, den 8. februar 1998. Aanzicht van een zuiveringsinstallatie op Wabash River van 'Heritage' Trail tussen Lafayette en Fort Ouiatenon. Indiana, 8 februari, 1998. Vaade Reoveepuhasti kohta Wabash jões "Heritage" Trail vahel Lafayette ja Fort Ouiatenon. Indiana, 8. veebruar 1998. 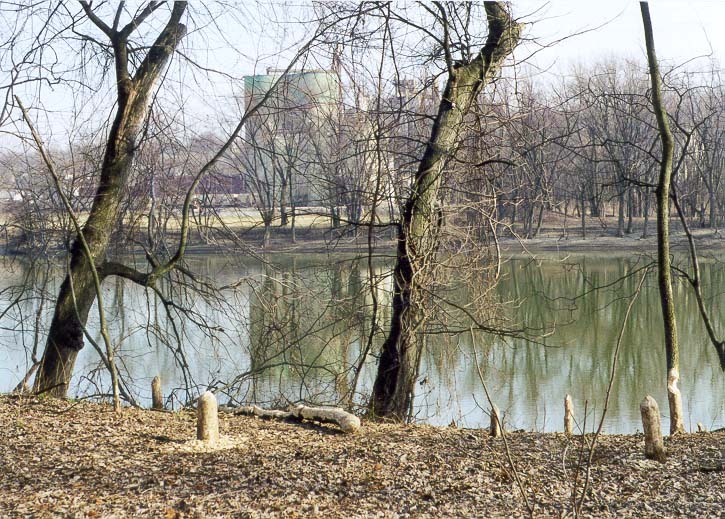 View ng isang sewage planta sa Wabash River mula sa 'Heritage' Trail sa pagitan ng Lafayette at Fort Ouiatenon. Indiana, 8 Pebrero 1998. Näkymä jätevedenpuhdistamo on Wabash joelle "Perintö" Trail välillä Lafayette ja Fort Ouiatenon. Indiana 8. helmikuuta 1998. Vue d'une station d'épuration à partir de Wabash River Trail 'Heritage' entre Lafayette et Fort Ouiatenon. Indiana, Février 8, 1998. Vista dunha estación de tratamento de Wabash River Trail de 'Raíces' entre Lafayette e Ouiatenon Fort. India, 08 de febreiro de 1998.
ხედი საკანალიზაციო ქარხნის Wabash River from 'Heritage ბილიკი შორის Lafayette და ფორტ Ouiatenon. ინდიანა, 8 თებერვალი, 1998. Blick in eine Kläranlage auf Wabash River von "Heritage" Trail zwischen Lafayette und Fort Ouiatenon. Indiana, 8. Februar 1998. વાબાશ નદી પર લાફાયેટ અને ફોર્ટ Ouiatenon વચ્ચે 'હેરિટેજ' ટ્રાયલ ગટર દ્વારા છોડની જુઓ. ઇન્ડિયાના, 8 ફેબ્રુઆરી, 1998. Προβολή μιας μονάδας επεξεργασίας λυμάτων στο Wabash ποταμό από Trail »Κληρονομιάς» μεταξύ Lafayette και Fort Ouiatenon. Ιντιάνα, 8 Φεβρουαρίου 1998. View yon plant egou sou Wabash larivyè soti nan Trail 'Eritaj' ant Lafayette ak Fort Ouiatenon. Indiana, 8 fevriye, 1998. צפה מפעל ביוב על Wabash נהר מהשביל 'מורשת' בין לאפייט ופורט Ouiatenon. אינדיאנה, 8 בפברואר 1998. Wabash नदी पर एक से 'विरासत' और किले Lafayette Ouiatenon के बीच ट्रेल मलजल संयंत्र के देखें. इंडियाना, 8 फरवरी, 1998. Nézd meg a szennyvíztisztító telepet a Wabash folyó a "Heritage" Trail között Lafayette és Fort Ouiatenon. Indiana, február 8, 1998. 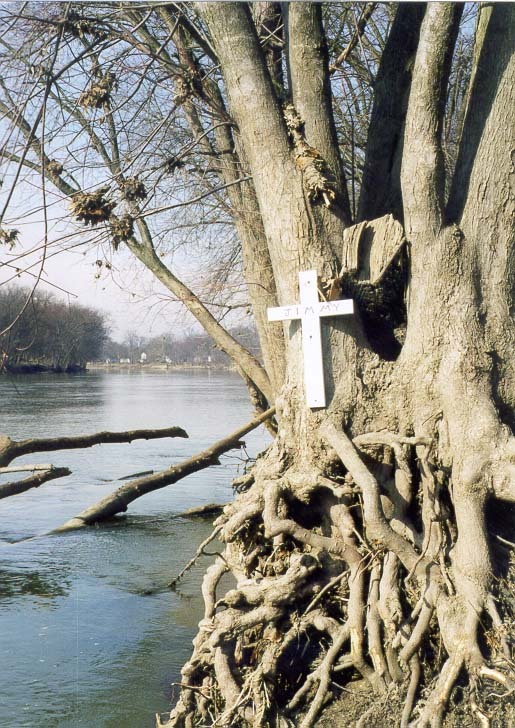 Skoða í hreinsistöð planta á Wabash River úr 'Heritage' Trail milli Lafayette og Fort Ouiatenon. Indiana, 8. febrúar 1998. 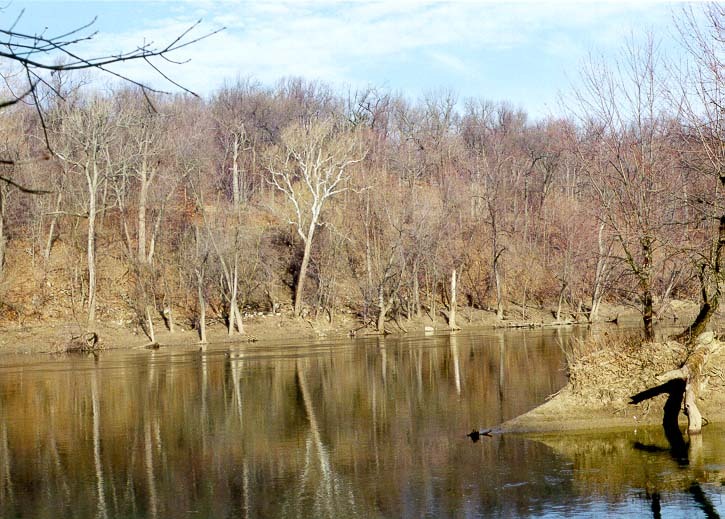 Lihat sebuah pabrik limbah di Sungai Wabash dari 'Heritage' Trail antara Lafayette dan Fort Ouiatenon. Indiana, 8 Februari 1998. Féach de plandaí séarachais ar Wabash Abhainn ó Conaire 'Oidhreachta' idir Lafayette agus Fort Ouiatenon. Indiana, 8 Feabhra, 1998. Vista di un impianto di depurazione in Wabash River da Trail 'Heritage' tra Lafayette e Fort Ouiatenon. Indiana, 8 febbraio 1998. ಲಫಾಯೆಟ್ಟೆ ಮತ್ತು ಫೋರ್ಟ್ Ouiatenon ನಡುವೆ 'ಪರಂಪರೆ' ಟ್ರಯಲ್ ರಿಂದ ವಾಬಾಷ್ ನದಿಯ ಮೇಲೆ ಚರಂಡಿ ಸಸ್ಯ ನೋಟ. ಇಂಡಿಯಾನಾ, ಫೆಬ್ರವರಿ 8, 1998. 라파예트와 요새 Ouiatenon 사이에서 '문화 유산'목록에서 와바 시가 강을 하수 공장 전경. 인디애나, 1998년 2월 8일. 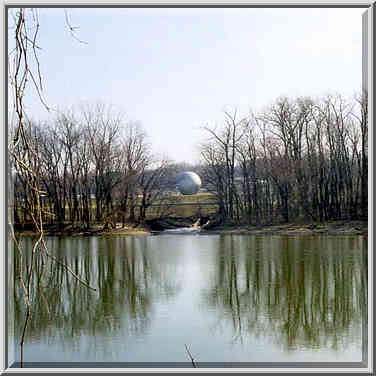 View a planta in Alitur Wabash River from 'Heritage' Trail castellisque inter Ouiatenon Lafayette. Indiana VIII Februarii, MCMXCVIII. Skats uz notekūdeņu augu uz Wabash River no starp Lafayette un Fort Ouiatenon "Heritage" Trail. 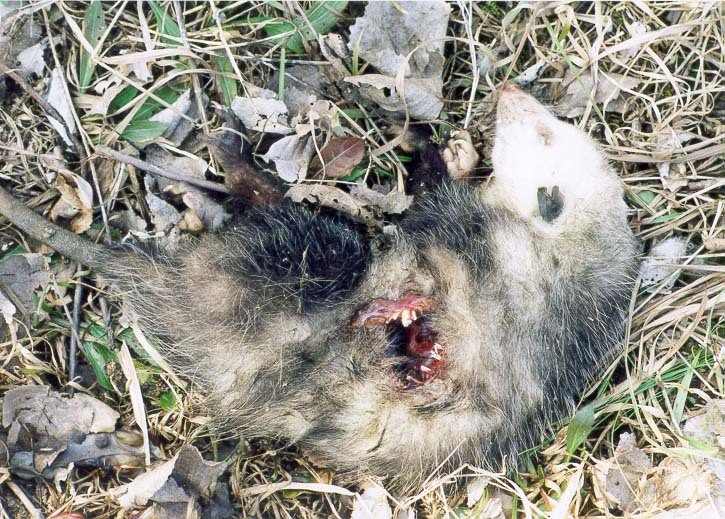 Indiana, februāris 8, 1998. Peržiūrėti Nuotekų įrenginių ant Wabash River nuo "paveldo" Trail tarp Lafayette ir Fort Ouiatenon. Indiana, vasario 8, 1998. Погледни за канализација централа на реката Wabash од "наследство" Трага меѓу Lafayette и Фор Ouiatenon. Индијана, 8 февруари 1998. Lihat sebuah kilang sampah di Sungai Wabash dari 'Heritage' Trail antara Lafayette dan Fort Ouiatenon. Indiana, 8 Februari 1998. Dawl ta 'impjant tad-drenaġġ fuq Wabash Xmara mill Trail "Wirt" bejn Lafayette u Forti Ouiatenon. Indiana, 8 Frar, 1998. Se et kloakkrenseanlegg på Wabash River fra 'Heritage' Trail mellom Lafayette og Fort Ouiatenon. Indiana, 8 februar 1998. نمایی از کارخانه فاضلاب در Wabash رودخانه از پرشین 'میراث' بین لافایت و فورت Ouiatenon. ایندیانا ، 1998 فوریه 8. Widok oczyszczalni ścieków na Wabash River z Trail "dziedzictwo" między Lafayette i Fort Ouiatenon. Indiana, 8 lutego 1998 roku. Vista de uma estação de tratamento de Wabash River Trail de 'Raízes' entre Lafayette e Ouiatenon Fort. Indiana, 08 de fevereiro de 1998. Vezi de o instalaţie de epurare pe Wabash River din Trail "Heritage" între Lafayette şi Ouiatenon Fort. Indiana, 08 februarie 1998. Вид очистные сооружения на реке Вабаш от Трейл "Наследие" между Лафайет и Форт Ouiatenon. Индиана, 8 февраля 1998 года. Поглед на постројења за прераду отпадног на Вабасх реци од "лепоте" стаза између Лафајет и Форт Оуиатенон. Индијана, 8. фебруара 1998. Pohľad na čističky odpadových vôd na rieke Wabash z Trail 'dedičstva' medzi Lafayette a Fort Ouiatenon. Indiana, 8. februára 1998. Pogled na čistilno napravo na reki Wabash iz "dediščine" Trail med Lafayette in Fort Ouiatenon. Indiana, 8. februar 1998. Vista de una planta de aguas residuales en el río Wabash de Ruta 'Patrimonio' entre Lafayette y Ouiatenon Fort. New York, 8 de febrero de 1998. Mtazamo wa kupanda maji taka katika Mto Wabash kutoka Trail 'Heritage' kati ya Lafayette na Fort Ouiatenon. Indiana, Februari 8, 1998. Vy över ett reningsverk på Wabash River från "Kulturarv" Trail mellan Lafayette och Fort Ouiatenon. Indiana 8 februari 1998. லஃபாயெட்டெ மற்றும் கோட்டை Ouiatenon இடையே 'பாரம்பரிய' Trail இருந்து Wabash நதி ஒரு கழிவு தாவர பார்க்கவும். இண்டியானா, பிப்ரவரி 8, 1998. లఫఎట్టే మరియు ఫోర్ట్ Ouiatenon మధ్య 'హెరిటేజ్' ట్రైల్ నుండి Wabash నది ఒక మురుగు మొక్క చూడండి. ఇండియానా, ఫిబ్రవరి 8, 1998. Lafayette ve Fort Ouiatenon arasında 'Miras' Trail Wabash Nehri üzerindeki bir kanalizasyon tesisi görüntüleyin. Indiana, 8 Şubat 1998. Вид очисні споруди на річці Вабаш від Трейл "Спадщина" між Лафайєт і Форт Ouiatenon. Індіана, 8 лютого 1998 року. سے 'ثقافتی ورثہ' Lafayette اور کلی Ouiatenon کے درمیان راستہ Wabash ندی پر ایک نکاسی کے پلانٹ کا منظر. انڈیانا ، 8 فروری ، 1998. Xem của một nhà máy nước thải vào sông Wabash từ Trail 'di sản' giữa Lafayette và Fort Ouiatenon. Indiana, 08 tháng 2 năm 1998. View o blanhigyn carthion ar Afon Wabash o 'Treftadaeth' Llwybr rhwng Lafayette a Fort Ouiatenon. Indiana, 8 Chwefror, 1998. View פון אַ אָפּגאַנג פאַרזעצן אויף וואַבאַש טייך פון 'העריטאַגע' טרייל צווישן לאַפיעט און פאָרט אָויאַטענאָן. ינדיאַנאַ, 8 פעברואר 1998.